As I wrote last month when Google first announced that the software update was coming, Google is changing what happens when you swipe on the main watchface. The new interface represents a more opinionated and focused take on what a smartwatch’s purpose is supposed to be: simple fitness tracking and replying to notifications. It also leaves room for Google to experiment with new features without interfering with the core stuff you care about. That’s a much less ambitious set of goals than what Apple elucidated for the Apple Watch Series 4, which is entirely appropriate. 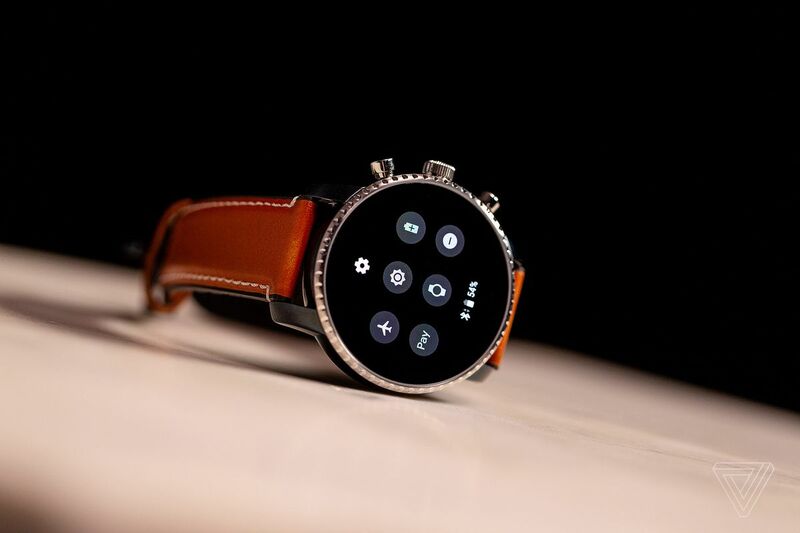 Wear OS has long had a hardware problem: the partners creating Wear OS smartwatches have tended to produce pretty enough but technically deficient devices. And so Wear OS needs to have simpler goals, ones achievable on the out-of-date processor it’s typically running on. I’ve been testing on two different Fossil-produced smartwatches: the Skagen Falster 1 and the new Fossil Gen 4 Q Explorist HR. In both cases, I think the new software seems nominally more responsive than before. But it’s just as (if not more) likely that the new animations and gestures just feel better. 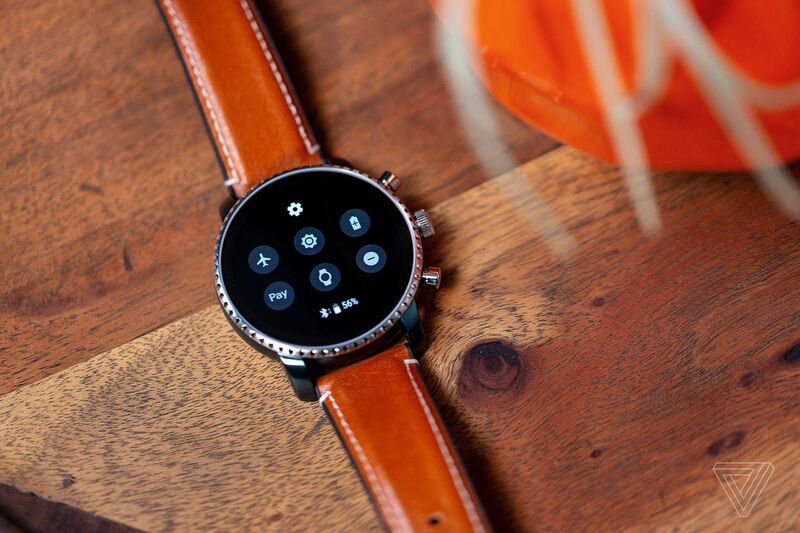 You should be aware, however, that even the newest, just-released Wear OS watches like that Fossil still use the same, out-of-date Qualcomm 2100 processor that has caused so much consternation. Newer watches with the next-gen Qualcomm processor are still pending, but the main improvement it will bring is increased battery life, thanks to a co-processor. The main app processor is the same as before. So Wear OS still doesn’t feel fast, especially when loading apps. Google Maps took as long as five seconds to start filling in the map — that’s loading time, not waiting for data. Those four swipes will take you to a screen that’s been improved over what was available before. 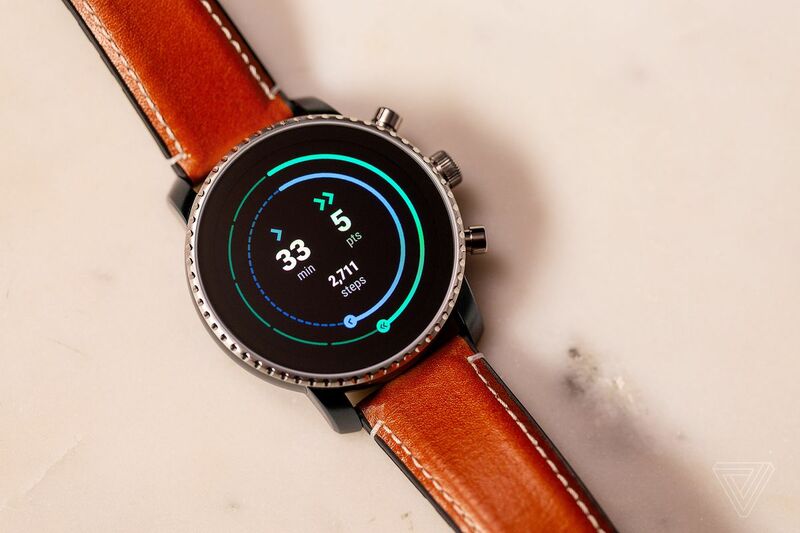 Google Fit, for example, has recently been updated with a new set of health-tracking rings that abstract your step count and heart rate into two different health rings. I prefer the new rings, but those who want more detailed fitness info might think it’s a little too simplistic. Neither Wear OS smartwatches nor Fit can do nearly as much as Apple’s ecosystem, but Google’s system is a better foundation to build on than what we had before. The recurring theme with this update is about setting a better foundation. The same thing applies to notifications. Instead of having to swipe through them one by one, you can now smoothly scroll through them in a single pane that more closely mirrors what you see on your phone. You can still expand them, use Google AI-created quick replies to send messages, and swipe them away. Quick settings also has a more useful set of buttons — six of them now — including one to toggle on Google Pay. I especially like that when you’re playing media, this panel surfaces a now-playing button that shows your current song and a pause button. The reason I think this update serves as a nice foundation for future updates is that Google has shunted off the “ambient” information bits to the left-hand side of the screen inside what is now being called the “Proactive Assistant.” It’s a feed of personalized information like the weather, upcoming calendar events, flights, and so on. That kind of information used to sit in your notifications, and putting it all to the side in a single place makes a lot more sense. It also means that if (or, let’s be more realistic, when) Google wants to experiment with what its AI will show you, it can do it over there, instead of being more intrusive about it. Wear OS 2.1 is a very nice update for existing users, and my understanding is that it should be available via a relatively simple update for nearly all of them. However, it’s not the sort of update that I believe should change your calculations about buying a new watch. It handles the basics much better than before. But I think for most Android users, it’ll be worth waiting to see what a new generation of watches can do before spending your money. And though Wear OS watches work with iPhones, you would have to really like round watches to pick one over an Apple Watch. This update constitutes a small reset for the platform, one that lays a better foundation for future upgrades. It’s enough to bring me back to using a Wear OS watch without gritting my teeth, but it’s not enough to make me want to get a new one.